If you want great dental health and improved well-being, maintaining good dental hygiene for kids and adults is imperative. Leaving large amounts of plaque on your teeth causes tooth decay, cavities, and periodontal disease. Recently, scientists have discovered that dental disease is linked to serious health conditions like cardiovascular disease and diabetes. You’re probably aware that you should be brushing your teeth twice every day using a soft-bristled brush, but that’s not the only way you can achieve better dental hygiene. Your brushing technique can also help to reduce your health risks. 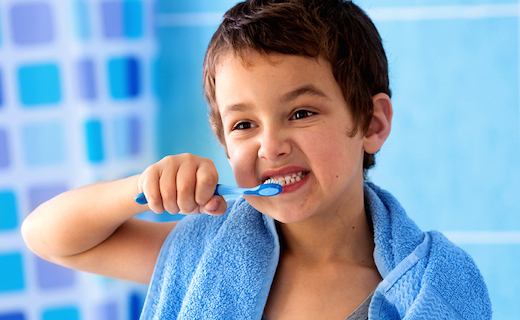 Good dental hygiene for kids and adults starts with brushing long enough to remove plaque from every tooth surface. The process of brushing your teeth should take two full minutes. Although this may not seem very long, if you don’t time yourself, it’s easy to stop too early. A British study revealed that one in three adults failed to meet their two-minute brushing goals. Using a timer or mentally counting seconds can help. It’s also important to see exactly where your toothbrush is going. Watching yourself brush in the mirror can ensure that you thoroughly clean every tooth, including hard-to-reach ones like back molars. Keeping an eye on your teeth also helps you recognize problems like bleeding gums, wear-and-tear damage, or tooth decay before they become serious. Although teeth appear strong, they are made up of delicate structures, so always brush gently. Hold your toothbrush at a 45-degree angle, and brush using small, circular motions. Clean the front and back surfaces of your upper teeth first, and then move to the lower teeth. Pay special attention to your gum line, and brush your tongue to freshen your breath. 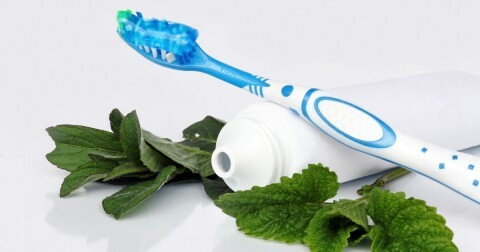 Be sure that your toothpaste and other dental care products meet your needs. 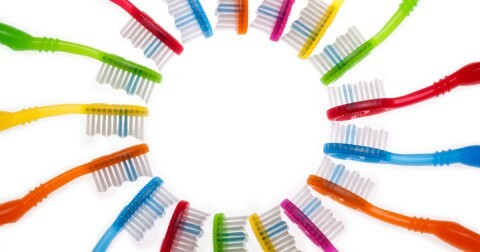 For example, if you have sensitive teeth, you should avoid tooth-whitening products that contain harsh abrasives. In addition to a great oral hygiene routine, professional dental care is essential for keeping your mouth in top shape. Make regular visits with an affordable dentist part of your lifelong dental care plan. You guys were nice and I liked how my teeth were cleaned. There was no rudeness in the process. Cheryl and Dr. Val are the best….for 20 years or more excellent caretakers….